The San Diego Central Jail (SDCJ) serves as the primary point of intake for male prisoners in San Diego County. Approximately 69,000 new bookings are initiated at SDCJ annually. The facility is staffed by just over 200 sworn employees and nearly 200 professional staff members. SDCJ opened in May 1998. The state-of-the-art facility makes extensive use of touch-screen controls and video surveillance. At the heart of the facility is the Central Command Center, which has the capability of electronically controlling all jail operations in the event of an emergency or major system failure. SDCJ is 230 feet tall, making it the tallest construction project ever undertaken by the County of San Diego. It consists of 11 floors with a total of 17 levels counting the mezzanines and basement. 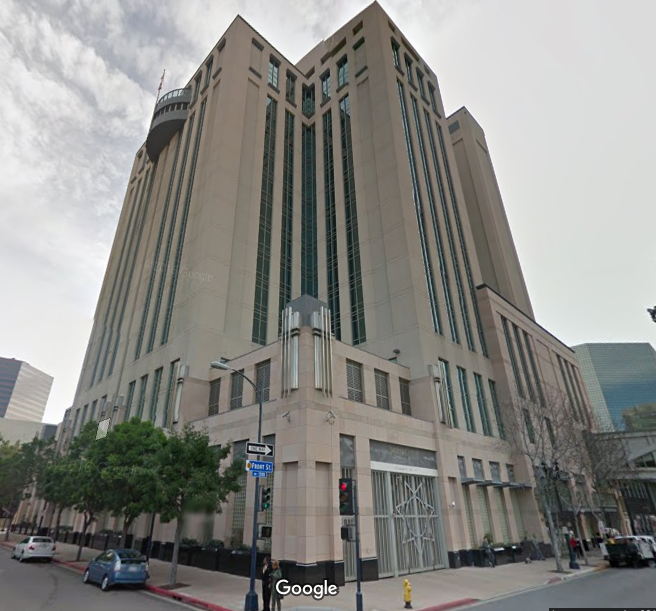 The building provides a pleasing aesthetic addition to the downtown San Diego skyline, having been awarded multiple “orchids” for architectural design, interior design, and lighting design. The Board of State and Community Corrections (BSCC) rated capacity is 944 beds. The population at SDCJ consists primarily of special handling inmates, newly booked inmates awaiting transfer to other facilities and pre-arraignment inmates. The special handling inmates consist of those with serious medical challenges, those under psychiatric care, inmates representing themselves in court, as well as defendants facing high-publicity trials. SDCJ provides a wide range of medical and psychiatric services, including on-site dialysis, infectious disease control, and dental care. Services are provided by physicians, psychiatrists, dentists, nurses, and clinical social workers. SDCJ’s Psychiatric Security Unit is the largest acute psychiatric treatment facility in San Diego County.